Walt Disney Animation Studios has created yet another computer animated musical film that is expected to sweep the charts and take the industry by storm. The film is directed by world renowned John Musker and Ron Clements – directors of The Little Mermaid (1986), Aladdin (1992), The Princess and The Frog (2009) and much more, so, you can expect another great Disney film,. Set to debut in US theatres on November 23rd this year, Moana will have heavy emphasis on South Pacific myths and culture. The film takes place on a mystic island in Polynesia. Moana, the young princess of her tribe on the Montui Island, was a born navigator. Her name, which means ‘the ocean’ in her native language, somehow enables her to connect with many different aspects of the ocean. She ventures out into the ocean to prevent the annihilation of her family and tribe. She does this with the help of Maui, a “shapeshifter, demigod of the wind and the sea”. As a high spirited teenager, Moana just doesn’t know how to give up. She battles through a whole ocean of terror to save her beloved family. Because of this, she is the hero in the legend told to the tribe. Moana is voiced by breakthrough actress Auli’i Cravalho, who was born and raised in Hawaii . She wasn’t initially going to audition for the role but, when an agent found her, he urged her to audition for the part. Disney says that she was the last person to audition for the role, but was absolutely perfect for it. Additionally, voicing the demigod Maui, is Dwayne “The Rock” Johnson. He has starred in the Fast and Furious series, and is well known for his roles in countless hit movies. Disney has made Moana the ultimate anti-princess. Unlike the other Disney princesses, she doesn’t accept that she is one. 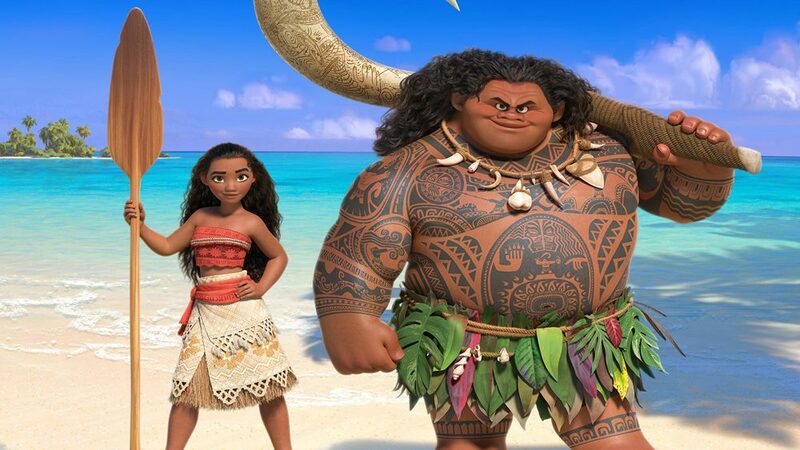 The demigod Maui says, “if you wear a dress and have an animal sidekick, you’re a princess.” However, Moana-resists the rules of her kingdom and instead sets off to navigate the oceans with her dim-witted chicken. This film also isn’t just about finding love, it’s about self-discovery. The movie also features a new kind of characters,which all have a foundational folklore and a culture – a completely new concept for Disney.